Tao’s Center is happy to present a unique Mindfulness, Sound Healing & Yoga workshop, led by Ouvi Lifshitz & Nessi Gomes. The practice of Yoga is a practice of bodily awareness and dynamic meditation, being complementary to Mindfulness and sitting meditation. Both practices can become more transformative the deeper they penetrate, and the Sound Healing is responsible for this part, reaching deep both body and mind. 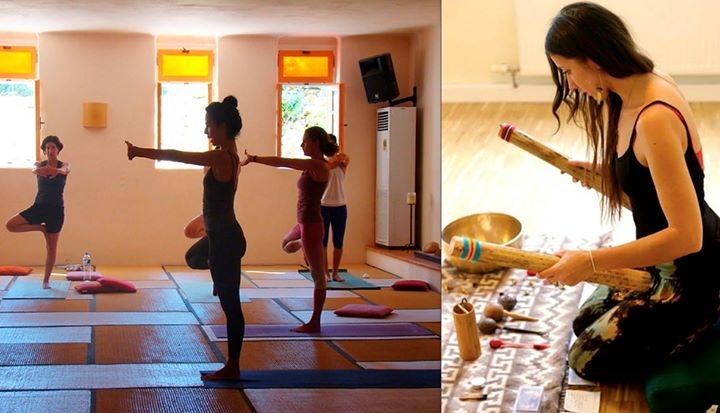 Ouvi Lifshitz is one of Israel’s leading yoga teachers, offering a methodological Yoga practice without following any particular school of yoga, combining her immense experience and knowledge. Separately, she’s a certified Mindfulness teacher, bringing the meditative qualities into her teaching. More about Ouvi Lifshitz in her teacher page. Nessi Gomes is a world-known musician, singer, vocal artist and therapist. Her personal journey took her career from just a performer to the spiritual realm, leading groups and individuals into the mystery and healing process of sound and vocal work. For more about Nessi Gomes check her teacher page.